I’m not at all ashamed to say that beer (or food and drink culture more widely) was one of the primary reasons I chose New Zealand as my destination when I made the decision to up-sticks, quit my job and move to the other side of the world. Hence, it is of little surprise that less than a week after arriving in this green and beautiful country, I find myself heading north out of Auckland hunting for breweries. My destination is Sawmill Brewery, one of New Zealand’s most exciting and up and coming brewers. After a brief stop in Warkworth to say hello to Soren Eriksen, the founder of 8 Wired (more on this visit another time), we pull off the windy road just past the town of Matakana and lay eyes upon the Sawmill’s purpose built brewhouse and Smoko Room restaurant. On arrival we are greeted by brewery manager Sam Williamson, who offers us the grand tour. The brewery was originally located further down the road in the small coastal community of Leigh. Back then it was run by Peter and Decima Freckleton, who rented a shed from the owners of an adjacent café. These days Mike Sutherland and Kirsty McKay are in charge, and the brewery is a much more professional affair. Sutherland and McKay took over the brewery in 2008, and moved it to the current site in 2016. And what a site it is; packed to the rafters with conical fermenters and fronted by an ultra-modern bar pouring a generous range of Sawmill beers. I’m tempted by the sight of the brewery’s flagship pilsner – recently awarded a gold medal in the 2018 Brewers Guild of New Zealand Awards – but resist in favour of a sample of the brewery’s North By North Fest, an Oktoberfest ‘Festbier’ brewed in collaboration with nearby 8 Wired and McLeod’s. A malty, sweet base of German malts combine with two Noble hop varieties, resulting in a superbly balanced interpretation of a style rarely brewed on this side of the world. There will be plenty more chances to try the pilsner before the year is out, I reason to myself. We head outside through the elegantly decorated restaurant and events space, ordering a flight of beers and some light bites to eat. The prices aren’t cheap, but then again nothing in New Zealand is, and when it arrives, the food is well worth our hard earned bucks. 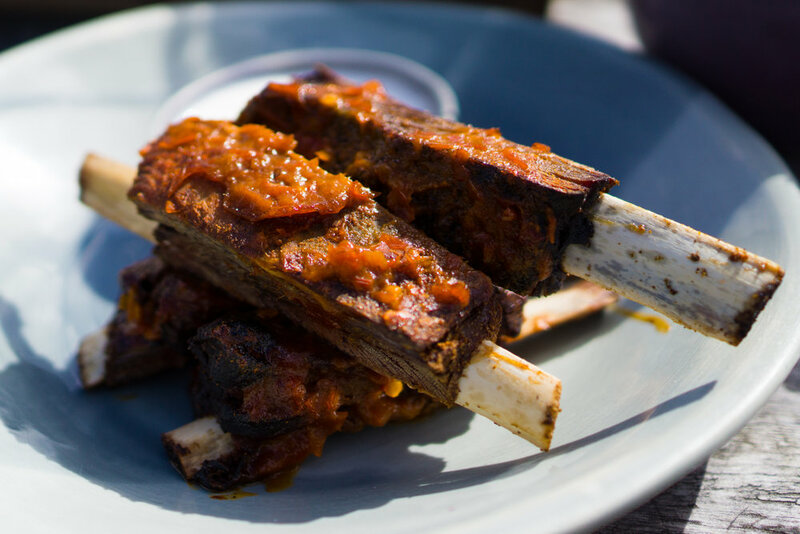 The succulent smoked pork cheek is so soft it almost resembles a pate spread over soughdough and slathered in barbeque sauce, while the spicy venison ribs slide tenderly off the bone and wallow in the blue cheese dipping sauce. The rest of Sawmill’s beers are equally as impressive. The extra pale ale is like Bud Light on acid; exceptionally clean yet bursting with stonefruit aromas, while I’m yet to find a better interpretation of a Belgian Dubbel out here than The Doctor, the brewery’s dark beer offering (by and large, New Zealanders don’t appear to be big stout drinkers). Leaving the brewery after a couple of hugely enjoyable hours, it’s easy to see why, despite its rural location, Sawmill remains a popular destination for both locals and tourists alike. If the venue were in central Auckland, it’s not hard to imagine that the queues to get in would stretch around the block.